It’ll be easy to find the model that’s right for you at Smith Motor Sales of Haverhill! The best way to experience the new GLC is in person. Contact us today to take one for a test drive around North Andover today. 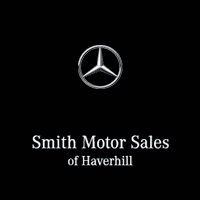 Visit Smith Motor Sales of Haverhill Today! Our sales team is standing by to get you behind the wheel of the model that best suits your budget and driving needs. Whether you choose the GLC or another Mercedes-Benz model, we’re here to help you with the car-buying process. After you’ve taken a look at our online inventory, contact us to pick up your very own Mercedes-Benz near North Andover!